Be free with this beautiful and airy shabby chic bicycle oilcloth design. 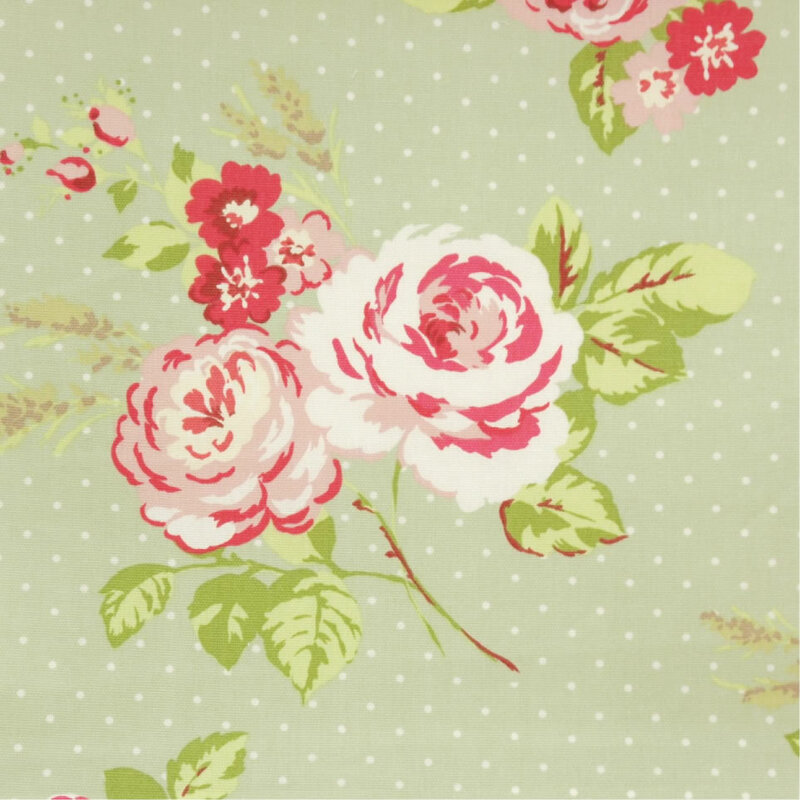 Where Can I Buy Shabby Chic Oilcloth? The answer is right here of course. With our beautiful range of floral oilcloth tablecloth, there is both Shabby Chic and Country Chic which will fit into that Shabby Chic decor. Shabby Chic has been epitomised by Cath Kidston's floral designs but there is so much more to our range of shabby chic wipe clean tablecloths. Shabby Chic doesn't always need to be a floral tablecloth, our range of Polka Dot Oilcloth Tablecloth will fit perfectly in the correct decor. With colours ranging from powder blue, sage green, taupe and pink there is certain to be something here for you. Shabby Chic has been such a used term over the last few years. Predominantly made famous by Cath Kidston's floral designs it refers to a style of interior design that embraces a lived-in vintage look for your home. Whilst Shabby Chic is popular in homes it has also been embraced with the rise in vintage-inspired tea rooms across the country. Most will use a mixture of modern and vintage accessories with a floral or polka dot tablecloth. If you have any queries about our range of Shabby Chic oilcloths then please contact us.